A black and white photograph of the public library in Bath, Maine taken by E.R. Starbird. 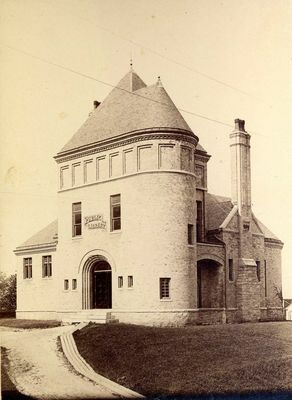 The image is not dated, but it appears to have been taken not long after the completion of construction on the building, known as the Patten Free Library, in 1890.